Ahhh. By George we've done it! Almost. We've made it to the half-way point on our move across the country. Pretty much by sheer miracle. But we've stopped for a few days to spend some more time with husband's family and celebrate this thing we call life without school - and also make up for lost time in bed with my laptop. It seems we've become quite fond of each other. Poor abandoned thing. Anyway ... in case you were wondering, this is how you move a set of table lamps. Pajama pants, of course, being the solution to most problems. Deflating our mattress. Deflating my sister in the process. Aaaaand ... I'm about to get brutally murdered. But you getting to see my very first baby swimsuit was totally worth it right? Yes that is husband's brother. Yes, he is underage. No, he is not available. Thank you family for helping us move and eating with us at the taco bus and for not judging my dirty house! hehe the pajama pants are the best! Great idea, may use it.. we are about to move ourselves... only about 20 min away though, so not too bad! Glad to see you've done it! Such an effort.. And congrats on graduating! Feels awesome hey? your fam is so cute :) that baby bathing suit is adorable too. good luck with the rest of the move! so real and pure!! Lovely pictures and it looks like you had a great time with your family!! your sissy on the right of the murder pic looks so much like you. the profiles are the same (minus the baby belly)! What a nice family, I loved seeing all those smiles. The idea of the pijiama pants is so funny! Good luck with the last part of the moving. A www, what a lovely looking family. And yep, that shot for the baby swimsuit was so worth it! well aren't your family just so lovely looking!! (Everyone looks so happy in these photos, its really sweet). The pj pants were a brilliant improvisation and one I will remember if I too ever have to move lamps like that haha Congrats on getting half way in the big move. I guess thats what family is for! Aww such a lovely family, that must have been lots of fun! We can't wait to have you as a fellow resident here in DC. I have tons of restaurant suggestions and sights you should see. Not just the regular old monuments but the hidden gems. My friend Maggie emailed me the other day and was like HEY! That cool blogger chick is moving to DC! haha. Family is the best, no? Pajama pants haha...great idea. Good luck with the rest of the move! Haha the pajama pants cracked me up! Brilliant. And if you think the taco bus is great, wait until you get to DC and see the food trucks. Sushi, Thai, Mexican, Italian, etc. all in one place. Oh, the possibilities! Nice work on making it this far - packing up everything is so draining - glad you get some time to recoup in the middle! Packing and being remnant has gotta be hard. At least you can have other people do stuff and not feel too bad. PS- I have the same exact PJs from Old Navy :) Super comfy! Good luck with the move! DC will be great- such a cool place to live. Yay for family that is willing to help you pack up all your disorganized crap and move you across the country!!! Hope it went well. Pajama pants. Who would have thought? Taco bus looks fun too. Bah. This is all so lovely. So exciting to be moving! I can't wait for our big move across the country! And the taco bus looks so fun! Your posts always make me crack up. Love the taco bus. Baby's going to miss that taco bus I'm sure ;) If York peppermint patties fell off the face of the Earth babe and I would be doomed... or super sad at the very least. ahh I hate the process of moving in and out of places but I'm sure doing it with family made it a whole lot more fun! wow.... just think though, maybe you will be able to move back here someday! 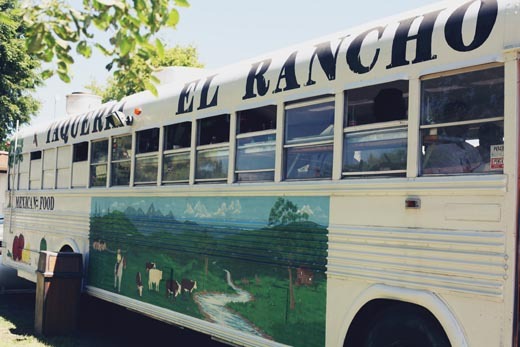 and when you go back to visit, taco bus will be even more special and savored than it is now! ok, let's talk for a minute about how cute that baby bathing suit is. i forget that people can be that small. that swim suit is pretty precious! Okay, so this may come across completely rude, but I feel it needs to be said. 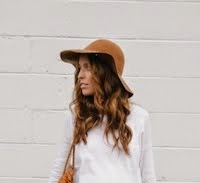 I was super excited as a fellow Mormon, to find an awesome Mormon fashion blogger. Loving the style, everything. And then I checked out your photo shoot from Ruche. Was there really no way to be modest? I was so disappointed that the photo shoot took over for your temple attire. You know what I mean?! Remember the world is watching! Glad to see you are enjoying life without school. I feel ya! This year is the first year I am not taking classes and working! Feels good! And P.S. that baby swimsuit is adorabllleee. Maybe you will find a nice little taco truck in DC!? You never know!!! Happy travels and congrats again on being done with school!!! moving can be so stressful! good luck girlie!! you and tyson both look so much like your mamas! just wanted to stop by and say I LOVE YOUR BLOG! Always have! I tell everyone who reads blogs about it and really enjoying reading each post. You're just so stinkin cute! Hi Sydney, I never really posted a comment before but I am an avid reader! I stumbled on your blog late last year, to me, you seem like someone who would be a great friend to have. So I followed your blog and it's on of my highlights of my bloglovin' reel. You and husbands relationship is adorable and now that you are a plus baby, I'm so happy for you. I'm from the D.C. area and I Thought I should comment so that if you ever have an event I won't be the weirdo that silently follows your blog, I would at least left some word with you. But good luck on your move and I hope you love D.C. cause I do and I'm happy to hear about your adventures in my city! HAHAHAHA a taco bus?! heavennnnnnn! yaayy! ! good to hear from you dear people again. I may or may not have squelled a little when i saw that you had posted! yes! thanks for taking a little time to keep us updated! you are looking beautiful as always! you are halfway there!! "Yes that is husband's brother. Yes, he is underage. No, he is not available." i enjoy reading your blog so much! You always have interesting adventures and stories. I am new at blogging but i been reading yours since day one! :) I am exited for the baby!! Your baby bump is cute. & now I want some tacos. On a truck. I hope your move is going well! Cute baby bump. I bet the little Mr is excited for new adventures on the east coast! So excited to read about your new adventures as an east coast gal! Tacos and a Coke sound heavenly right about now. Have fun in DC, it's wonderful there. Wow you and your sisters look so alike! My brother and I don't look anything alike. I hope the rest of the packing goes well. My husband and I just moved about 30 minutes away from the town we used to live in and it was ridiculous! I don't know how you are moving across the country and staying sane! where is that adorbzo striped shirt from??! i want it, i need it! !